Lucio "Bong" Tan, president of Tanduay Distillers, said: "We understand the need to lessen our impact by making our operations cleaner and greener. We do not just want to make the best rum in the Philippines, but we want everyone to know that our rum is made with good intentions and we hope to improve our operations year after year,”. In addition, they have started investing in solar energy as a cleaner alternative as well. Lucio "Bong" Tan, Jr is passionate and supports the grassroots sports. He is also ardent about the green initiatives. He leads the complete changes to a zero-waste facility of "Absolut Distillers", based in Lian, Batangas which is one of Tanduay's brewery. It bags numerous environmental awards including the including the prestigious Green Apple Awards. It's an annual international campaign that recognizes, rewards and promotes environmental best practices around the world. Absolut Distillers is the only local distillery to receive this award up to this day. Likewise, the company has since been a recipient of awards by the Department of Environment and Natural Resources (DENR) for their outstanding environment conservation practices. Now, Tan would like to bring public attention to a project he started in 2011 to protect what little is left of the old Boracay. The island has been noted as one of the world’s top destinations, but it has encountered controversy lately due to the amount of pollution that has been plaguing the once-pristine paradise. There are talks of a government shutdown to tourists in order to rehabilitate the natural landscape. Tan pioneered the project “Roots for Boracay” to save the last mangroves in the island.“When we first got there, we already saw the amount of solid waste that lay among the mangroves. Before we started reforesting the area, we needed to have it cleaned up,” Tan revealed. But Tan had the right man on his side to make sure his visions will be realized. 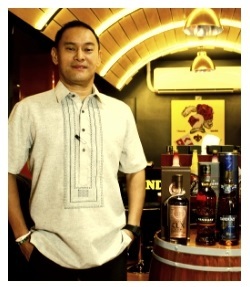 Gerry Tee is the chief operating officer of Absolut Distillers. He is the same person with whom his father Lucio Tan Sr. entrusted the green transformation of the Batangas alcohol distillery. With the help of Tee, they engaged the Tan Yan Kee Foundation led by Philip Sing to gather a 200-strong workforce that began the cleanup efforts in Barangay ManocManoc, where the mangroves are located. They have gathered four truckloads of garbage by the time they finish cleaning the mangroves area. The project had partnered with the local government unit, the DENR, and concerned non-government organizations to come up with a sustainable development in the area which involves the locals, educating them about the importance of the mangroves to their island. “So much has been cut down to make way for real estate, others cut them down for firewood. A portion is also dying out because a road development cut off the water supply. 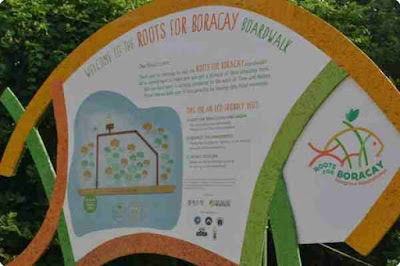 With RootsForBoracay, people have begun to understand what needs to be done,” said Tee.